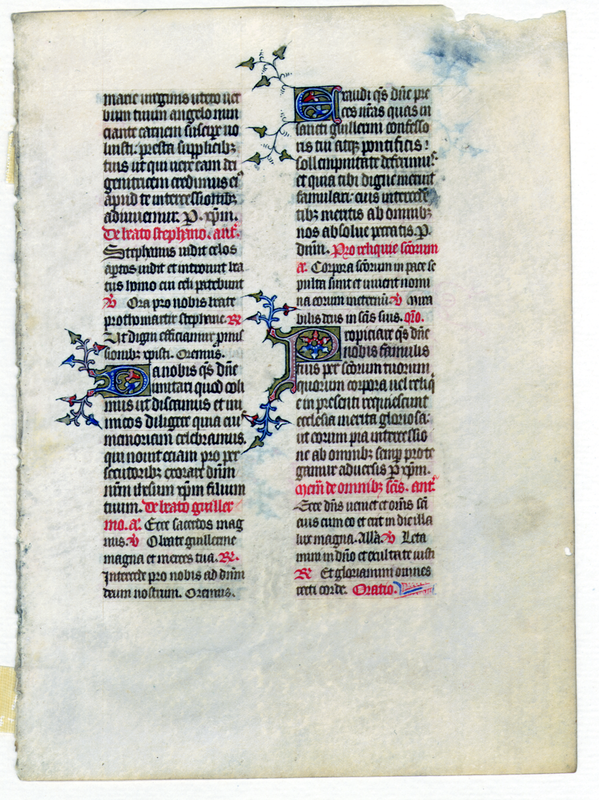 Book of Hours (Horæ Beatæ Mariæ Virginis). England (? ); Middle 14th Century. Latin Text; Angular Gothic Script. Observations: This is a very early Book of Hours, and both its date and its contents set it apart from the typical Books of Hours from the fifteenth and sixteenth centuries. 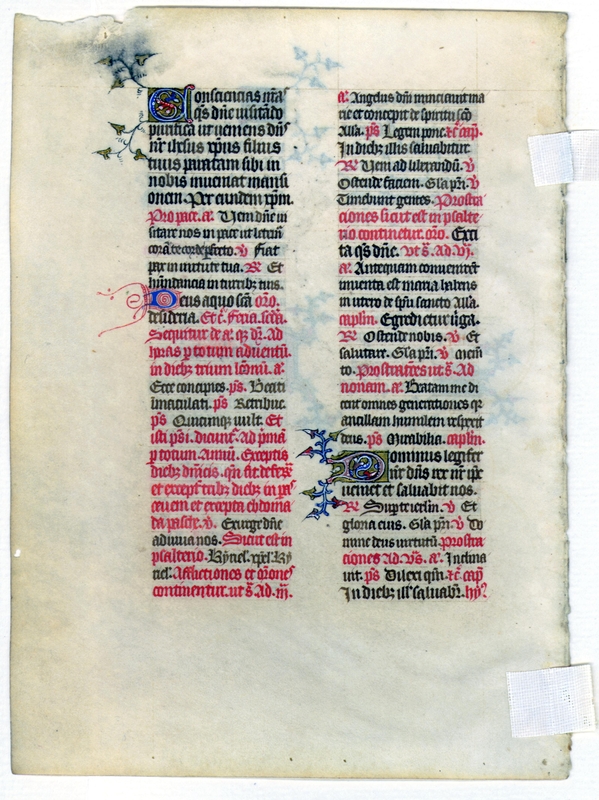 It has many characteristics of a breviary.